To provide a comparison between the WiFi service on offer in hotels, I measure the speed available during my stay and report this for your information. I only ever use my iPhone to capture the information, which irrespective of your love or hatred for Apple devices, few can deny is a more than capable tool for the job. Statistics published in reviews dated before September 2014 were captured using the iPhone 5S. From September 2014 to September 2015 they were captured using the iPhone 6 Plus and those after this date, were done using the iPhone 6s Plus. 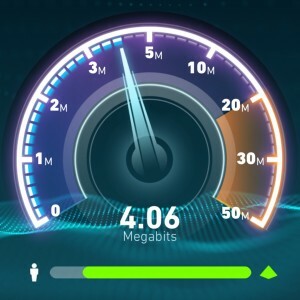 The device is loaded with an App called SPEEDTEST by OOKLA, which I find reliable and a great method to store the results of the numerous tests I perform. So as not to rely upon one or two rogue stats, I always test the WiFi at least 5 times, sometimes several times more than this. I’ll always eliminate the best and worst results and then calculate an average of those results that remain. I think this will prevent reporting overly generous or overly poor statistics. I regard the service to be most important in your bedroom, which is where I spend the majority of my time when in hotels. Unless the service tested elsewhere in the hotel returns dramatically different results, you can assume the data refers to the WiFi from the bedroom. To get an insight into my biggest hotel pet hate, that is poor or poorly executed WiFi, click here.